This correspondence was written to and from Mrs. Mary Merriam Sheldon, wife of Charles Sheldon, minister of the Central Congregational Church in Topeka, Kansas. Governor Arthur Capper is notably included. 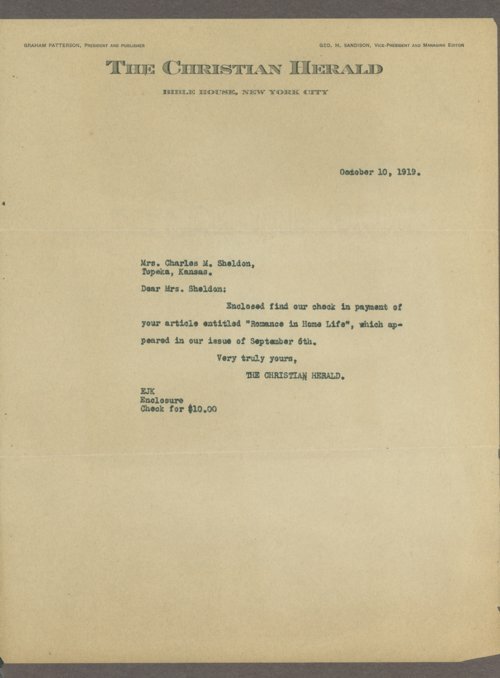 Many of the letters express sympathy after the death of Charles Sheldon on February 24, 1946. A searchable transcription is available by clicking "Text Version" below.